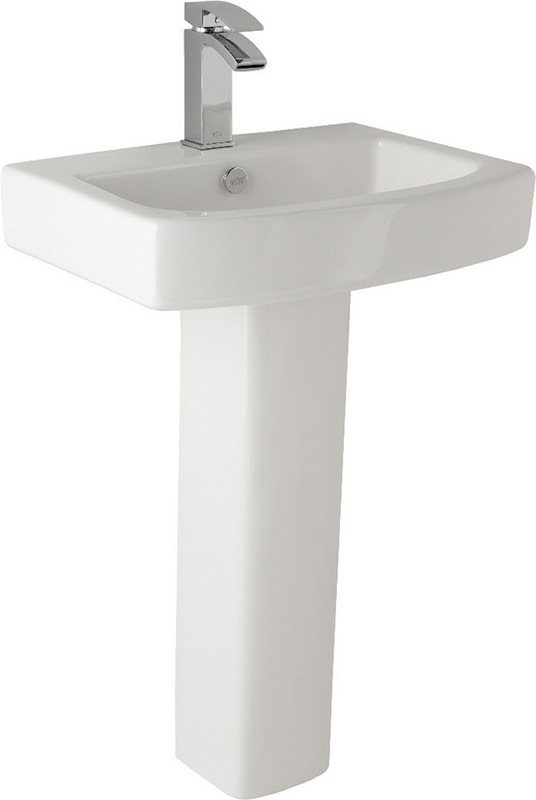 Embrace Basin & Pedestal - Only £50.99! In stock now for just £50.99 including VAT! Hurry while stocks last! The Embrace Basin & Pedestal has a memorable cubic style which makes it perfect for any modern bathroom. With striking, bold edges it has a minimalist design which really makes it stand out from the crowd. The angular lines of the Embrace basin and pedestal make it especially contemporary and stylish. This is a perfect basin for anybody looking to either refurbish their existing bathroom or fitting a new installation. The Embrace Basin is sold without the tap shown, which is available as an optional extra. Click here to see our range of stunning taps and mixers.